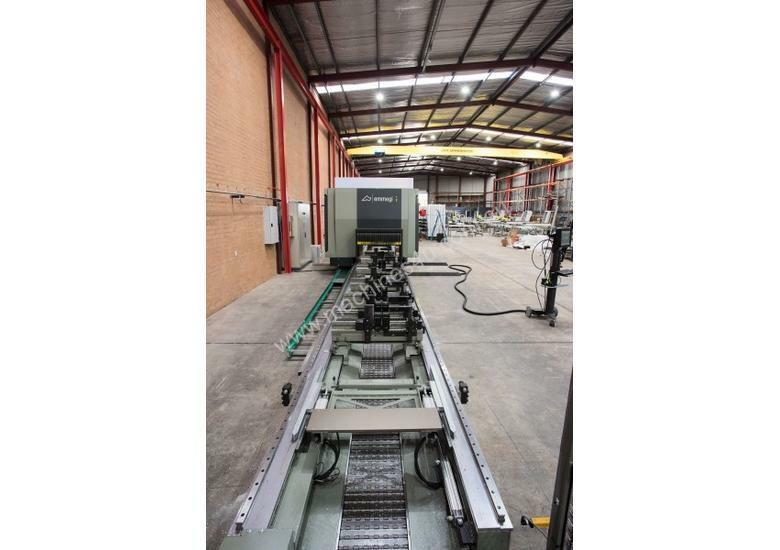 7800mm OR 10500mm OR 15500mm CNC machining centre with 5 controlled axis. 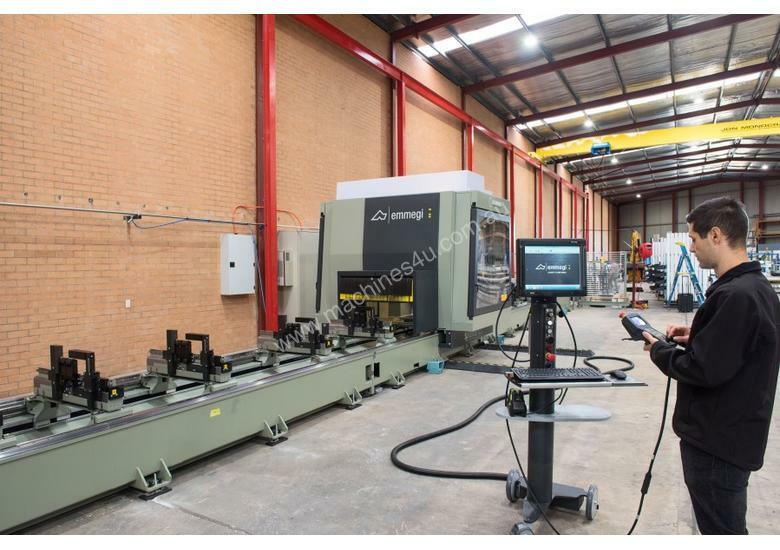 5-axis CNC machining centre with moving gantry structure. 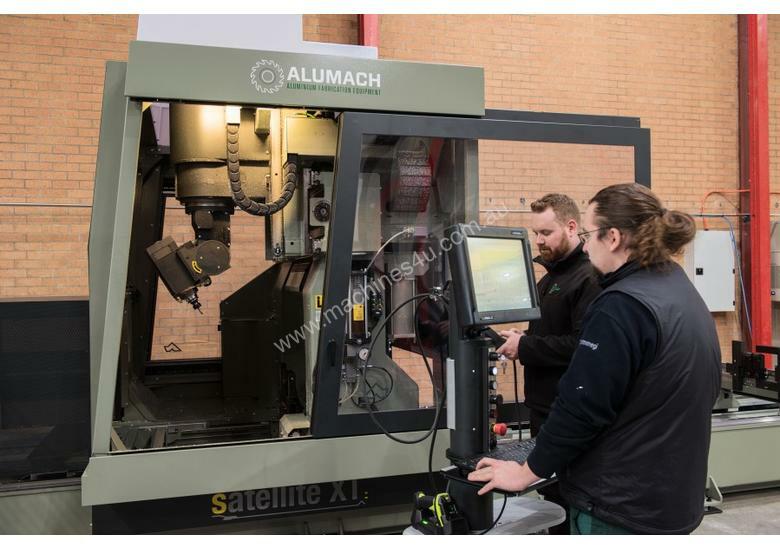 Designed for milling, drilling, thread cutting and cutting of bars and large workpieces of aluminium, PVC, light alloys in general and steel. 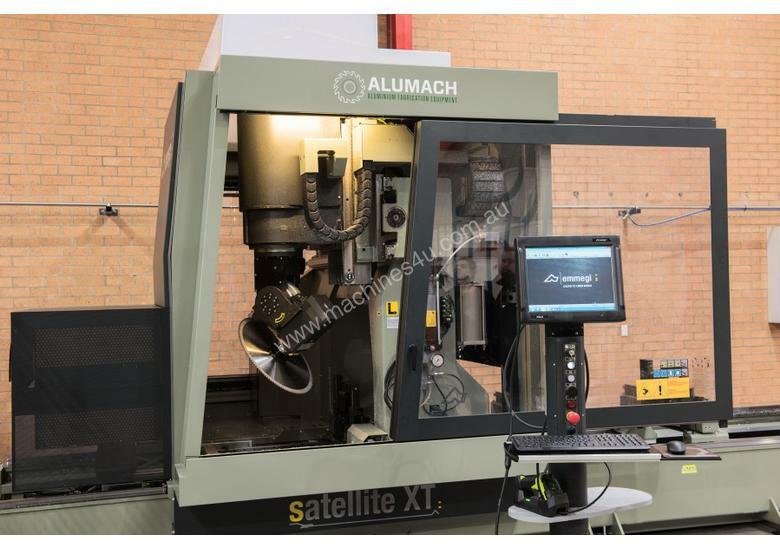 The high power (15kW in S1) electrically-driven spindle with HSK-63F tool holder allows machining operations, including heavy-duty work, with optimum results in terms of speed and accuracy. 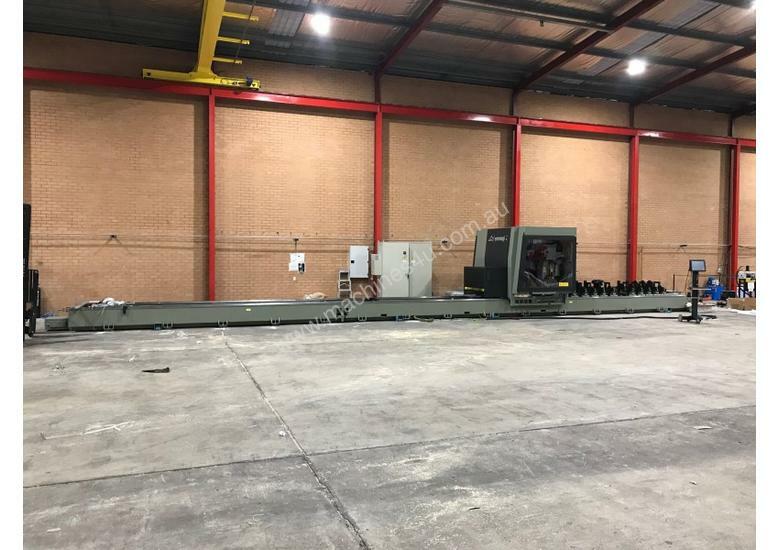 The 16-place tool magazine is installed behind the moving gantry structure. 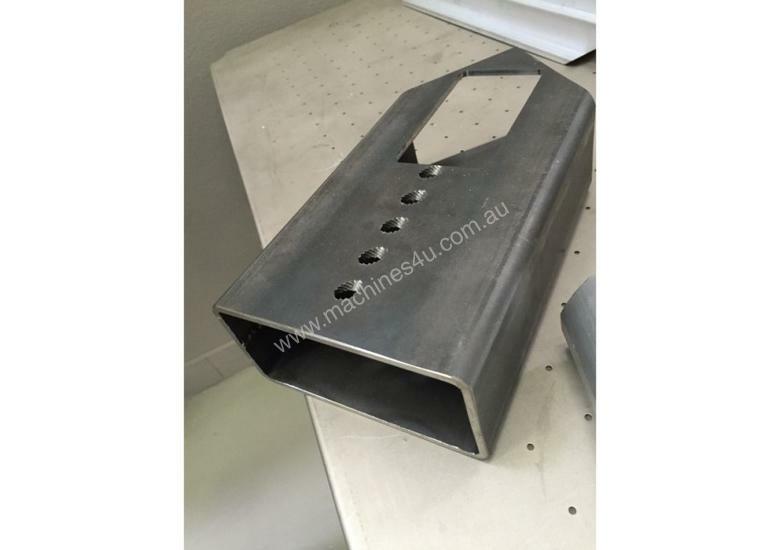 The 500mm blade is housed separately in a specific blade magazine. 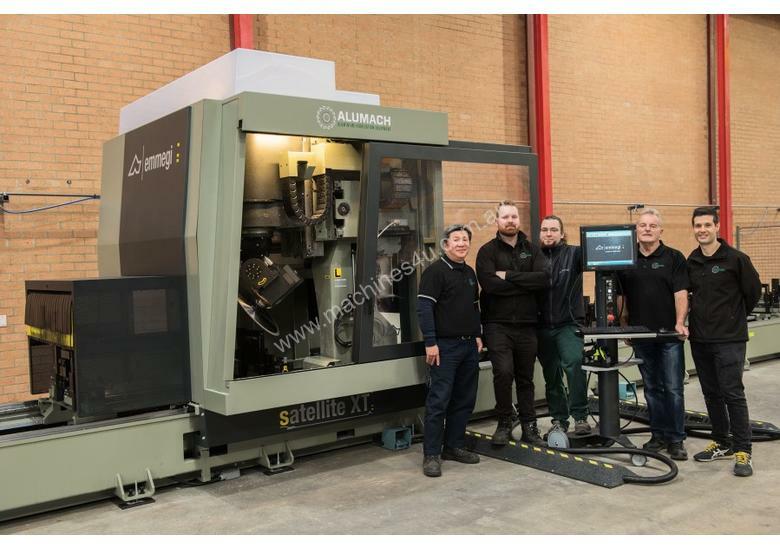 The machine can be used in double mode to minimise machine downtime, as it is possible to change the workpiece (load/unload) in “concealed” time. 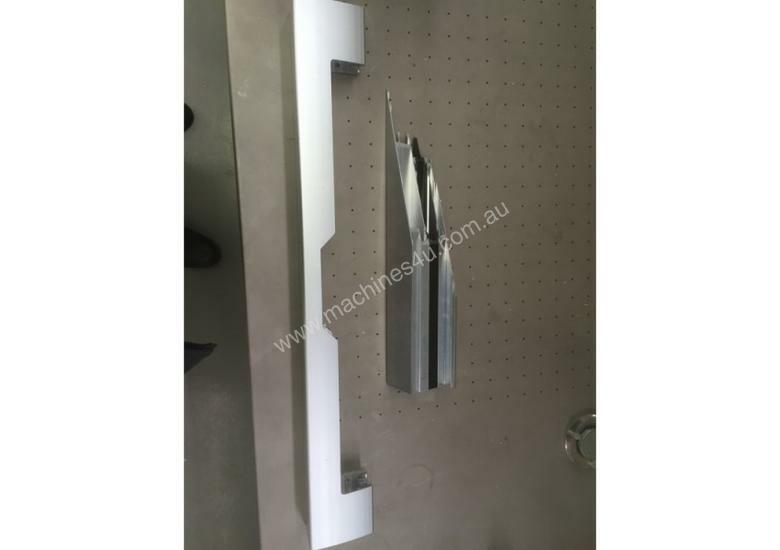 The dynamic double operation version can improve further on this feature, positioning the vices independently from the portal movements. 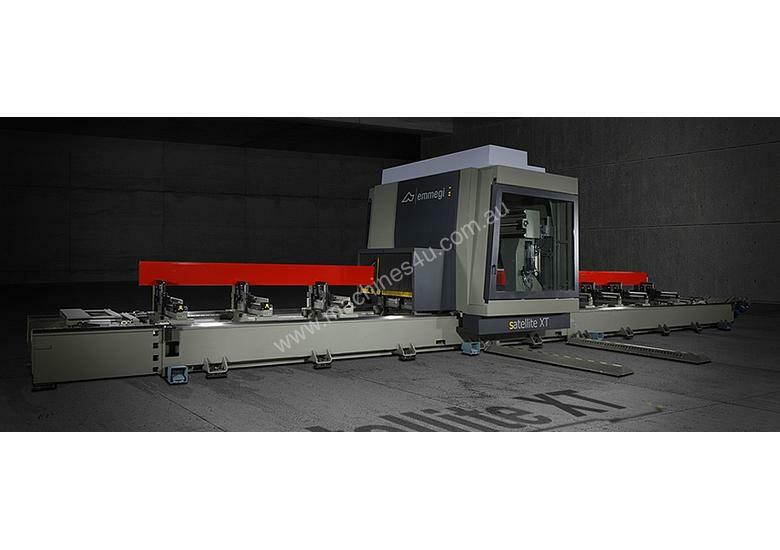 It is also possible to machine different workpieces between the two work areas. 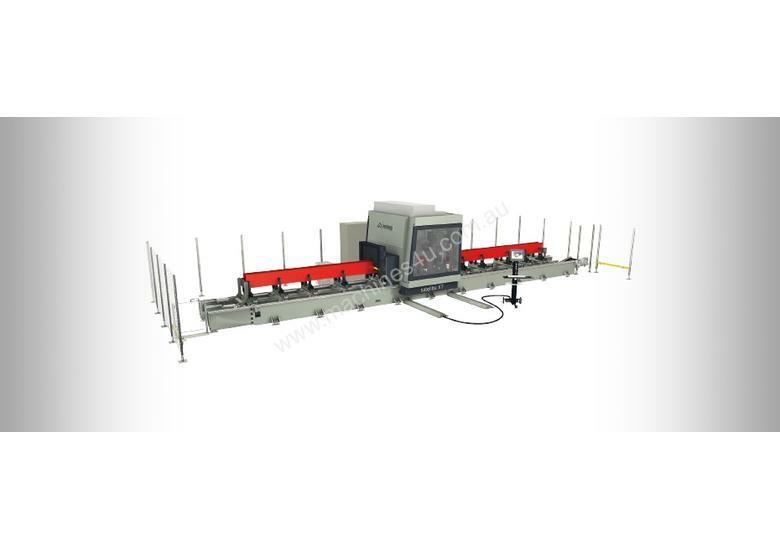 The gantry is provided with a guard which, besides protecting the operator, also reduces the noise impact on the environment.